The strollers and buggies consist of many options and many colors! We would like to invite you to our store without obligation to discuss the different models, options and possibilities. Bébécar strollers are available in many exclusive fabrics. There are various options for finishing the chassis. 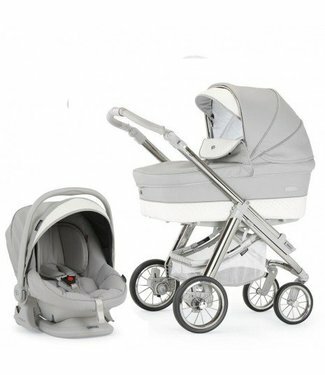 Each pram is equipped with various practical functions. Bébécar designs buggies based on high requirements in terms of safety, quality and functionality. Bebecar IP-on classic XL chrome 3 in 1 stroller. Consisting ..